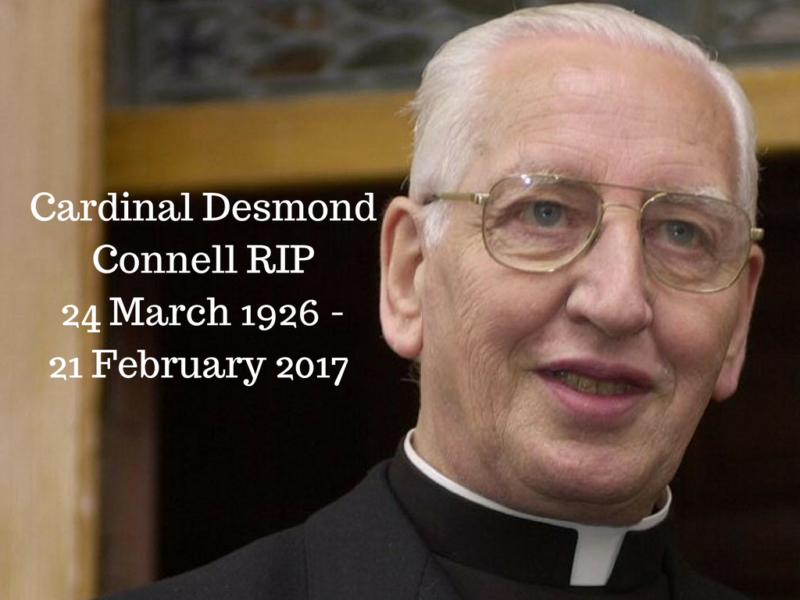 The death has been announced of Cardinal Desmond Connell. Born in 1926, he was Archbishop of Dublin from 1988 until 2004 and Cardinal since 2001. Archbishop Diarmuid Martin said that Cardinal Connell, who had been ill for some time, passed away peacefully during the night in his sleep. Archbishop Desmond Connell was born in Phibsboro on the 24 March 1926.